After repeated delays, people finally welcomed on Tuesday an airport train linking Jakarta and Soekarno-Hatta International Airport in Tangerang, Banten. Sudirman Baru Station in Central Jakarta, also known as BNI City Station, where the railway route starts, was packed with people who wanted to experience a congestion-free trip to the airport. During a trial period from Dec. 26 to Jan. 1 passengers are charged Rp 30,000 (US$2.2) for a one-way ticket. On Jan. 2, the fare will increase to Rp 70,000, and eventually it will increase to Rp 100,000 per trip. Pritha Elisa, a 26-year-old civil servant from Bekasi, told The Jakarta Post that she wanted to try out the airport train after reading about it on the internet. She bought her ticket through the Railink smartphone application. “I don’t like to stand in line for tickets, so I just booked my ticket through the Railink app on my phone,” Pritha said. Passengers can also purchase tickets through ticket vending machines (TVM) at the station or book their trips on the website reservation.railink.co.id. The app is available on iOS and Android platforms. It is called Railink on Android and Indonesia Airport Railway on iOS. Payments are accepted by debit card, credit card and electronic money (e-money) from various Indonesian banks. Pritha said she used to take a taxi to the airport, which would cost her hundreds of thousands of rupiah and take hours for each trip, making the train a more convenient alternative. Departing from Sudirman Baru at 12:51 p.m., she said the trip took only 55 minutes, as scheduled, getting her to the airport on time. The only downside she experienced that day was that passengers could not choose a seat other than the one they had booked. “I find that quite troublesome,” she said. Some passengers were also puzzled about the cashless ticketing system and annoyed about chaotic queues that day. Dini, 32, from Rawamangun, East Jakarta, had trouble buying her ticket as hundreds of passengers scrambled to reach the TVM. Once she got to the machine, she had no clue how to use it. “If only I had known about this earlier, I would have booked my ticket from home [online],” she said. The airport train, a project that had been in the pipeline since the administration of former president Susilo Bambang Yudhoyono, was originally scheduled to begin trial operations on Dec. 1. 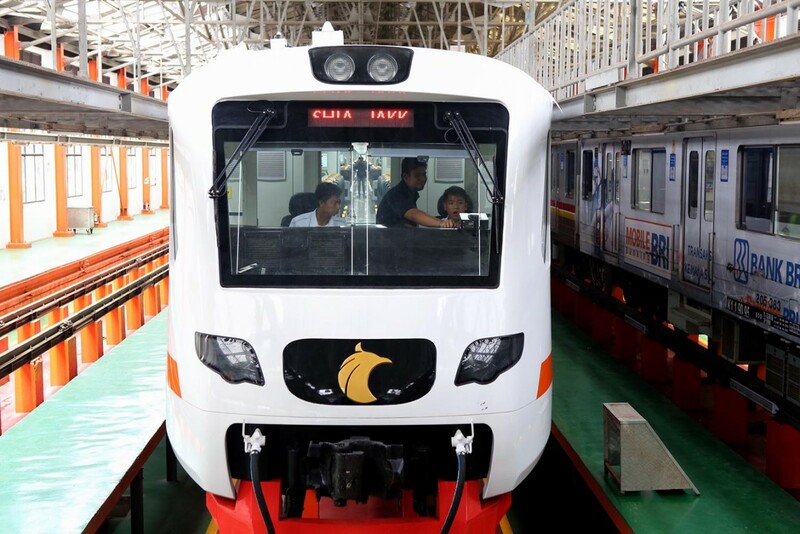 Heru Kuswanto, the president director of airport train operator PT Railink, explained that the trial had been postponed due to delayed agreement between the Transportation Ministry and the State-Owned Enterprises Ministry. The railway service spanning 36.3 kilometers is planned to eventually stop at five stations, including Manggarai Station, the central hub of the inter-city train in South Jakarta. As construction work on some stations is still ongoing, the train so far only stops at Batuceper, Tangerang, before reaching the airport. As the airport train still shares its tracks between Manggarai and Batu Ceper stations with regular commuter trains, several trips on the Duri-Tangerang route have reportedly been eliminated to make way for the airport train, and some commuter train services were apparently delayed because of the airport train trial. PT Railink spokesperson Diah Suryandari assured that there would be no delays during the airport train operation. “To ensure that there won’t be any delays, Railink will refer to the train trip graph arrangement [Gapeka] created by railway operator PT KAI for scheduling trains,” Diah said.